First introduced in 2005 the Yves Saint Laurent Muse bag was an instant hit with celebrities and fashionistas all around the world. It has become one of the most iconic bags in YSL history With is structured yet relaxed bowling bag shape and subtle hardware it was a sleek, quietly luxe version of the ‘it’ bag. With three sizes available. The regular sized Muse is a good choice if you wanted a day bag that slots under your arm, while the larger Muse would make a great overnight bag. As for colors, the most popular are the requisite black, white and browns but also it is few seasonal colors to choose from. YSL Muse also comes in crocodile, ostrich, linen and few more animal skins. A marriage of avant-garde chic and urban sophistication, the iconic Yves Saint Laurent Muse bag in leather is as versatile as it is luxurious. Its signature padlock and stitched “Y” design add a subtly rich detail, while brass rings and rivets provide a touch of Rive Gauche attitude. Double handles long enough to be hand or shoulder carried, along with a double zip opening for easy access add to the bag’s comfort. Metal protective feet on underside. Launched in 2008 the YSL Muse Two was also an immediate hit. A practical and sophisticated silhouette gets an YSL update with the Muse Two handbag. The addition of functional satchel straps in contrasting color and a beautifully designed metal closure on the front flap add flair while also allowing for the bag to be securely closed. Large central zip pocket creates two compartments for optimal organization. An exterior flat pocket and top handle long enough for shoulder wear make it the perfect go-anywhere accessory. Since then the Muse Two also appear in a huge variety of luxurious leathers – ostrich, embossed calf skin, patent leather and crocodile. A practical and sophisticated silhouette also gets a YSL update with the Muse Two messenger bag. 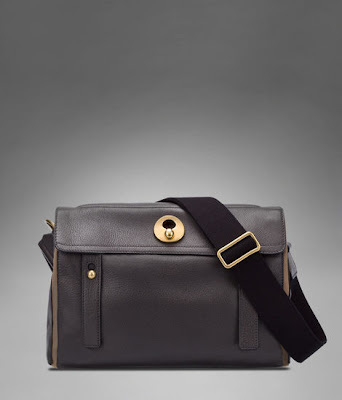 The addition of functional satchel straps and a beautifully designed gold-toned metal closure on the front flap add flair while also allowing for the bag to be securely closed. A zipped large compartment, inside zip pocket and adjustable double carrying straps makes it great bag to carry around. In 2011 Yves Saint Laurent introduced its limited edition bag “Muse Two Artisanal” in recycled material, the fruit of cooperation between the luxury brand and the women from the NGO “Gafreh”. This bag combines the brand’s savoir-faire and the craftsmanship of these women who have developed a technique for creating textile from recycled plastic bags and woven cotton. I'm just in love with the Muse bag! Amazing bags!I love this post! Lovely blog Irina, Im already following you! Beautiful bags, my favorite isis the sixth photo. Thanks for commenting my blog. Following you with Bloglovin. Follow back? 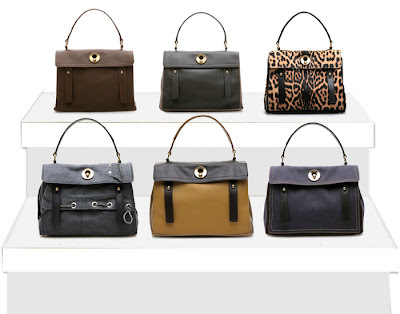 love all of these bags! such gorgeous bags! thanks a lot for visiting! Wonderful! I love in particular the 4rt photo! What about follow each other on Bloglovin and Google? I follow immediately! pretty bags!thanks for your lovely comment to my blog! Love the first 2 pics! That YSL is great!! Thanks, following you too on gfc! Let's follow on bloglovin too! I like your post so much! These bags are really gorgeous! Wow love these bags! Nice blog. totally in love with the first one! What a lovely blog soooo informative. Keep posting. great bags! very nice selection! Thanks Irina for your comment on my blog! thank you soo much for your lovely comment! since you're working at sf? But I can absolutely understand if not babe, don't worry! 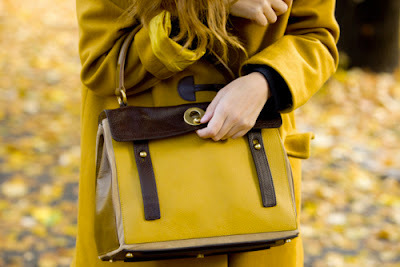 Great post,I absolutely love these bags!! Very nice bag! I especially like the 4th! Thank you so much for your sweet comment!! So I start following you, wait for you to do the same! If you want we can follow also with bloglovin, fashiolista, google+, twitter and facebook? such a cute post, these handbags are adorable! now following!